We were hard at work on our cookbook when we got the request for the sculpted gold Buddha cake. The vow renewal for Romina and Arian would take place nine months later, and at the time, nine months seemed like a lifetime away because there was so much to do before then. We had an entire book to finish by the time the couple's celebration would take place, so in the meantime, it was one of the cakes Rick would look forward to making. Every few months Rick would ask me, "When is that Buddha cake?" I knew he was excited about making it and I could not wait to see it! Romina and Arian were introduced to us by their wedding coordinator, Laura Lewis from Parasol Events. They were very sweet -- two gracious people whose tastes were particular but also gave Rick plenty of creative freedom to do what he felt was best. 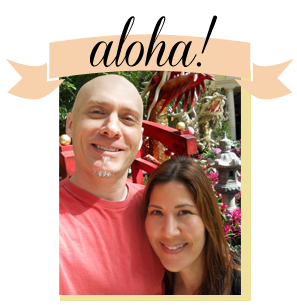 The couple are Buddhist and flew to Hawaii from Texas to celebrate their vow renewal, a ceremony I have always thought was such a sweet gesture. To exchange vows and say "I Love You" all over again is so romantic! We were told that the cake would be a very special part of their wedding reception and we were asked to deliver the cake at a time when we would be able to meet the couple. One of the best parts of making a cake is to be able to see the expression on someone's face when they see their cake for the first time. The couple were ecstatic when they saw their cake and were grinning from ear to ear, and their guests approached the cake table one by one to get a closer look. We were thrilled with how the cake turned out and to hear how much Arian and Romina liked it made all the hard work worth it! 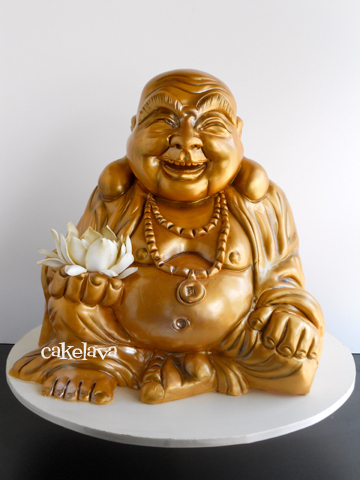 Rick sculpted the entire Buddha out of our Guava cake. 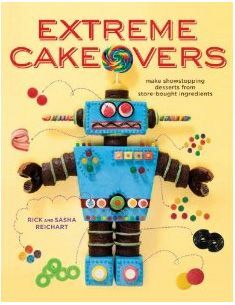 It was the same cake we brought to the Food Network Challenge when he made the Spongebob cake, and the guava flavor is a real crowd pleaser. The only color used on the cake aside from the gold was white, which was one of the only requests by the couple, since white was one of their primary wedding colors, they asked Rick if he could include that color somewhere on the cake. Rick made a lotus flower and gently placed it in the Buddha's hand. It was a beautiful feminine touch that worked fantastically with the design. Congratulations once again to our lovely couple Romina and Arian. We wish them both the best in their wedding and much success in both their careers!